Home > Warriors Orochi 4 > We have a release date for Warriors Orochi 4! We have a release date for Warriors Orochi 4! 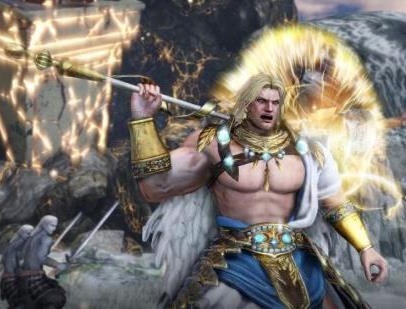 Warriors Orochi 4 is going to be great. Bringing together all the heroes from the Samurai Warriors and Dynasty Warriors franchises has always been a recipe for success, and we can't see Koei Tecmo letting us down with this latest one. We now have a release date, too! The game lands on October 16. There will be 170 different playable characters, and for the first time in quite a while, a Warriors game will have split screen multiplayer, meaning you can go on adventures with a friend - this is a feature that Warriors fans tend to get very upset about when it's left out of a Warriors game. This latest fusion title features the inaugural appearance of Magic abilities, allowing characters to wield phenomenally powerful and visually impressive attacks against their most challenging foes. These new-found powers come from the gods’ most divine artefacts: the Sacred Treasures. In this distorted, merged version of their worlds, all Warriors are unexpectedly gifted with a Sacred Treasure that fuels their spell-casting attacks. Alongside their legacy moves and special attacks, they can now cast ranged and targeted spells, or even combine their powers with those of an ally for truly devastating blows.